While we all were looking out for some more news regarding the mystery PlayStation branded wheel that was teased at the GT Sport event in London, earlier this year, it seems that the friendly people at Thrustmaster had some more surprises up their sleeve. 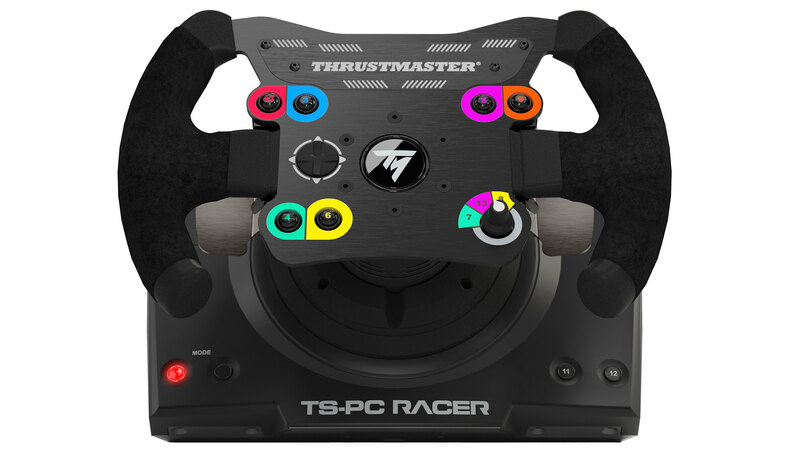 Out of the blue, Thrustmaster introduced the upcoming TS-PC Racer Force Feedback wheel that will become the follow-up of the now famous T500. The new wheel is fitted with a new 40-watt motor that will provide the Force Feedback system with dynamic torque which results in a better response and more powerful effects. To keep the TS-PC Racer from overheating or power loss, Thrustmaster designed a brand new high-quality low-noise cooling system called “Motor Cooling Embedded” or MCE. 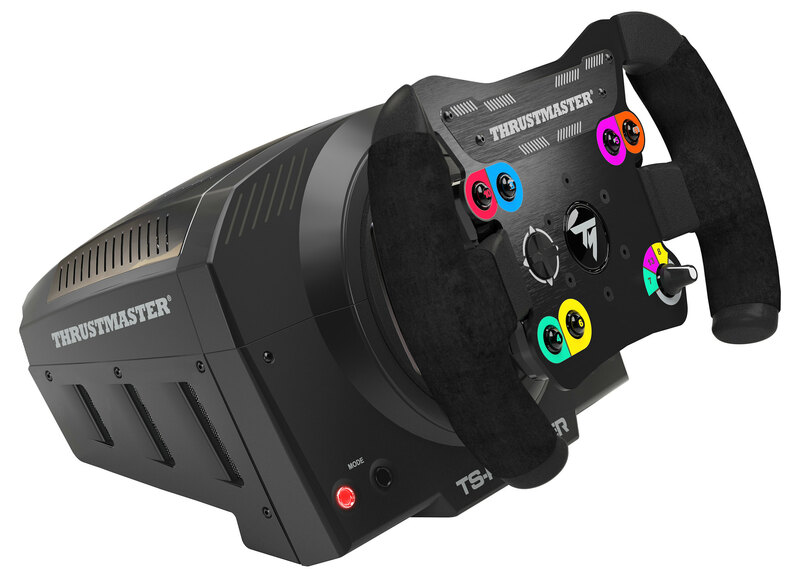 The TS-PC Racer is fully compatible with the entire Thrustmaster racing ecosystem which enables you to fit a selection of already existing Thrustmaster wheel rims to the system. The pictured new Open wheeler style rim features suede grips and a set of wheel-mounted brushed aluminum paddle shifters. The wheel is fitted with six push buttons, a D-pad, and a 3-position pushable rotary encoder. The wheel rotation will be adjustable between 270 and 1080 degrees. Last but not least, the new Thrustmaster wheel makes use of an external power supply that is specially designed to provide continuous power and a phenomenal peak power (400 watts). The new TS-PC Racer Force Feedback wheel should be available by December 5, 2016, at a suggested retail price of €549.99 / $499.99 (taxes included). To ensure that the motor’s velocity is always available, Thrustmaster has developed an embedded cooling system: MCE*, which stands for “Motor Cooling Embedded”. This innovative piece of technology maintains the motor’s performance level during quick successions of power demands by ensuring that there is no overheating while remaining silent. This results in 50% more dynamic response, and 4 times greater stall force compared with Thrustmaster’s other Force Feedback wheels. The open wheel created for Thrustmaster’s new TS-PC Racer features a highly-realistic ergonomic design. The 6 buttons located in the central area are very easy to access, as is the 3-position rotary selector with a push function. The materials employed are in line with the product’s positioning: suede coverings for the wheel’s grips, a metal faceplate, and wheel-mounted sequential paddle shifters crafted of polished brushed aluminum. What’s more, the wheel’s rotation angle can be adjusted between 270° and 1080°. In conjunction with the strength of the motor, these materials provide for a perfect weight/power ratio, for optimal inertia.